Lorenzo is an ASP Stager in the Florence, SC area. 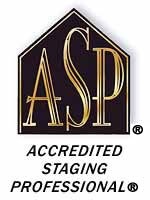 Beth Connolly is an Accredited Staging Professional® and the owner of Palmetto Home Staging. She works with Realtors® and Sellers to prepare occupied and vacant homes for sale. Beth uses her staging expertise, creativity, and attention to detail to bring out the best features and benefits of every home, resulting in more buyer interest and showings. Statistics prove that staged homes sell faster and at the best price in any market. To set an appointment or find out more, please contact Beth today at 864-357-0106 or [email protected] She would love to hear from you!